Learn to design creative and effective assessments that support student learning, inform your teaching, and communicate dance learning to stakeholders. Discover ways to integrate observation and reflection throughout your syllabus so that evaluation is not an afterthought, but an exciting opportunity to celebrate student growth. No prerequisite. Create, perform, respond, and connect with the Language of Dance to develop dance literacy. 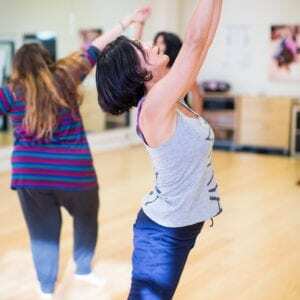 Explore the Movement Alphabet and integrate Motif symbols into dance experiences to connect physical, cognitive, socio-emotional and aesthetic learning. Deepen your dancing. Transform your creative and teaching practices. Those who successfully complete all course requirements receive the Language of Dance® Foundations— Part 2 Certificate. Taught by Tina Curran, co-founder of the Language of Dance Center. No prerequisite. Note: this workshop has been postponed until Summer 2020. Please email PL@lunadanceinstitute.org to be placed on the waitlist. Tina Curran, MFA, Ph.D is the Director of the BFA Dance: Dance Studies program at the University of Texas at Austin in the College of Fine Arts, Department of Theater and Dance. She oversees the preparation and professional mentorship of students pursuing their Texas dance teacher certification, acts as a liaison with the College of Education, and oversees educational initiatives within the program and in the dance education community. 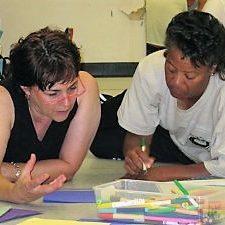 Her areas of research explore dance literacy, living dance legacy, and teacher preparation and professional development. Dr. Curran is a cofounder, with Ann Hutchinson Guest, of the Language of Dance Center (USA). She conducts LOD certification courses and workshops nationally and internationally. She is a faculty member of the Dance Education Laboratory at the Harkness Dance Center in New York City where she offered courses in the Language of Dance, Dancing History/Living Legacy, topics in dance pedagogy, and transformational teaching.